With two weeks left, it’s hard not to dwell on the things we will miss about Saint Ben’s. But, in an effort to play devil’s advocate, I decided to start on the other side of the spectrum: what won’t I miss about my college experience? My list included no-brainers like sleep-deprivation, late nights in the library, and that moment of sheer terror when they turn the lights on once ‘Piano Man’ finishes at Sal’s. But it’s no surprise that my list for what I will miss about CSB was much longer. There were items on my list that were quite predictable, like the sense of community on campus or the daily support I receive from my fellow Bennies. But there were also items on my list that, for most of my time at Saint Ben’s, have been largely underappreciated. These were small, everyday moments. Like watching a sister wave at me from across the street as she pedaled past on her bike. Or the kind words spoken by our bus drivers as we piled out the door: “Thank you for riding The Link!” Or even those nights when the only physical activity my roommates and I could muster was walking to the door to greet the Gary’s deliveryman. If you’re missing the friendly atmosphere of our campus, try flashing a smile to a stranger you pass on the street. Why not make the extra effort to hold doors open for your coworkers, similar to how we navigate through campus in between classes? If you’re missing the daily inspiration from strong, female leaders like Dr. Hinton or KSDZ, look closer at your surroundings. Strong women are everywhere you look; their success might just manifest itself in different ways. Being in their presence will remind you of the powerful sisterhood you are a part of. Simple acts like this help to bring pieces of our Saint Ben’s community out into the “real world” that everyone keeps talking about. Yes, we are future doctors, lawyers, educators, communicators, businesswomen, etc., and we should be extremely proud of that. We’ve worked dang hard to get here. But we are also so many other things. We are leaders, we are advocates, we are supporters, we are friends, we are role models to the future generations of women. 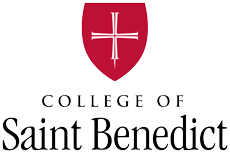 We are Bennies, and while the world needs our strong brains and professional experience, it also needs our compassion, our spirit and our drive.